There’s Positive Energy in the Air. Kice Central Vac systems have proven to be very reliable housekeeping tools. Utilizing a positive displacement pump to move air, the system is capable of providing users with adequate suction to maintain a safe and dust free environment. A positive displacement pump gives users a much more energy efficient means for moving air. 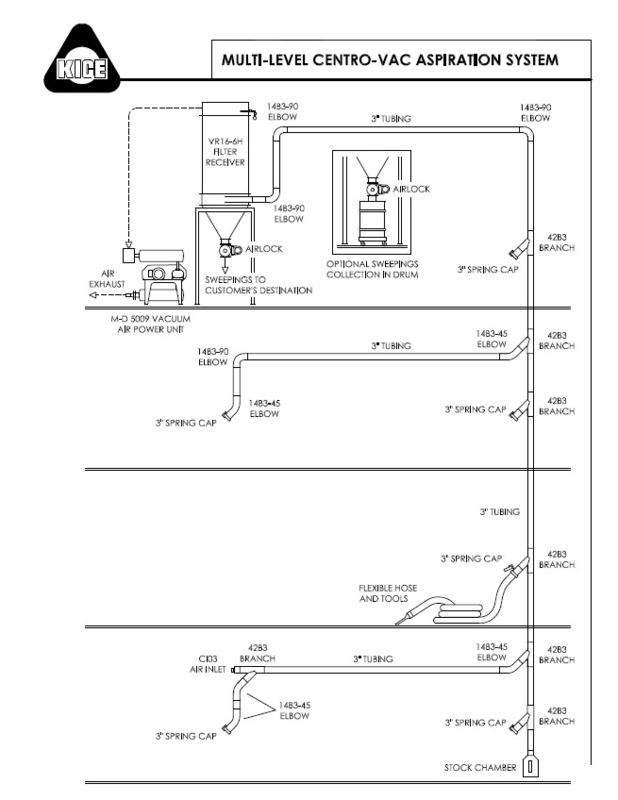 Most systems are designed for two users on one main manifold at a time, with the option of running multiple manifolds. As always, Kice will work with you on any unique situations, designs and/or requirements that is needed for your operation. 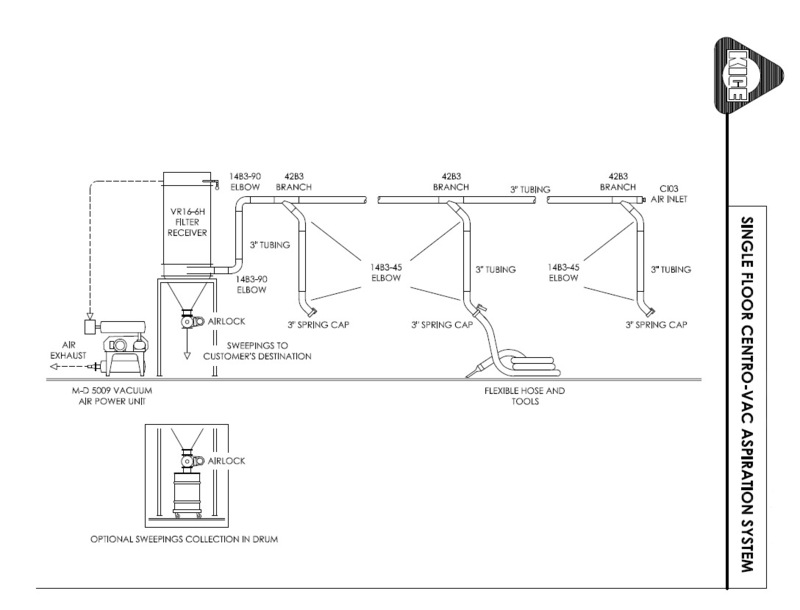 *Note* A dust collection system is not a Central-Vac system and a Central-Vac System is not a dust collector. 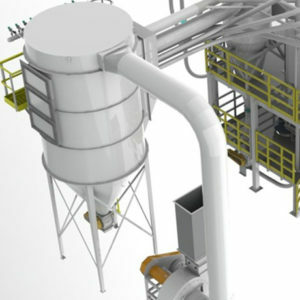 Typically dust collection systems have larger air volumes and lower static pressure requirements (Inches of Water, i.e. w.c.) where Central-Vac systems have lower air volume requirements and much higher static pressure requirements (Inches of Mercury, i.e. HG).